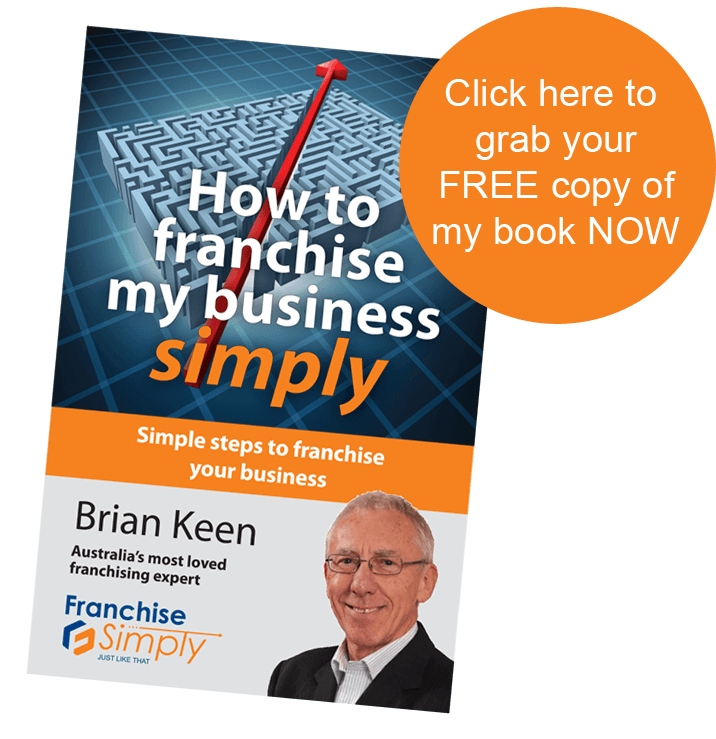 I have been involved in franchising dozens of businesses, at last count over 60. Some from concept and some where we converted an existing business to the franchised model and I am really happy to deal with either pathway with one really important proviso. 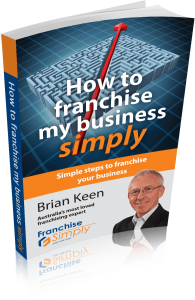 The business owner must have a reasonable understanding on what it takes to run a business successfully – franchised or not. And unfortunately I have concluded this is easier said than done. Done well, franchising does help to structure a business so that it has the best chance of success because franchising helps to put some great business practices in place. Systems and money management being at the top of the list. But overall, I have found that in most businesses, there are some aspects about business success which need to be reviewed and without sound business experience, creating a franchise is not likely to succeed. Understanding how business works is especially important, because you, as franchisor, will often be training less business savvy-franchisees on successful business practice. The most useful way I have found to think about business success is to look at the stages of business growth because it is through this journey that many learn the value of different business skills needed as they grow. Way back in the early 1980’s, the concept that businesses grow through defined stages was first discussed in an article published in Forbes by Neil C. Churchill and Virginia L. Lewis. This work is still cited to explain the importance of basic business elements to success. Before I go into the 5 stages, there is one important point to make. Businesses do not necessarily need to go through each stage. It is possible to speed through stages into whichever is your goal. The way to do this is to understand what is required. This is how the likes of Richard Branson create new businesses everyday – Richard will have all his business ducks in a row before he starts. But even his businesses will need to go through some of these stages on the way to creating an empire. This is generally the start-up stage for any business. With no revenue, the focus of the business owner is obtaining customers and delivering the product or service. Inevitably, the owner is definitely working in the business, often alone filling every role. A major concern is having enough money to cover this start-up phase. The strategy here is simply to stay alive. By now, the business has proven it is workable and can be profitable but it is still simple in structure. There may be a limited number of employees supervised by a sales manager or a general foreman but neither will make any major decisions independently. They carry out the rather well-defined orders of the owner. Systems development is still minimal. Formal planning is, at best, cash forecasting. The major goal is still survival, and the owner is still the business and working in the business. The main aim is to get a return on investment and making the business profitable. However if the business is to grow, it is important to begin to understand the need to systemise and understand how business operates. Some small businesses choose to stay here, hardly making a profit, others choose to move into the Success Stage. At this point, the company is stable and profitable and cash is not a problem. Most telling, basic financial, marketing, and production systems are in place to power effective delegation. Organizationally, the company has grown large enough, in many cases, to have functional managers to take over some duties previously performed by the owner and some planning through operational budgets support this delegation. There should also be some strategic planning in place and the owner and, to a lesser extent, the company’s managers, should be monitoring this in accordance with goals. While cash is plentiful, the main concern is to avoid a cash drain in prosperous periods to the detriment of the company’s ability to withstand the inevitable rough times. Some choose to stay in this phase while others choose to move into a phase of growth. If the decision is made to grow beyond the Success Stage, then key problems will be how to achieve growth and how to finance it. Growth will return to a phase where cash management becomes critical. Churchill and Lewis report they found the keys to success here are having a sound understanding of delegation and how to manage risk in cash flow. As staff numbers grow, systems need to become more refined to ensure delegation is efficient and both operational and strategic planning are crucial to make sure everyone is on the same page. At this stage, the owner no longer works in the business but does have a strong presence over the way it is run and over things such as stock control. The company has now arrived. It has the advantages of size, financial resources, and managerial talent. If it can preserve its entrepreneurial spirit, it will be a formidable force in the market. If not, it may enter a sixth stage of sorts: ossification and death. Yes, even in the 1980’s when the Churchill and Lewis first published their article, it was acknowledged that franchised businesses moved through the stages to Success and Rapid Growth better than those not franchised. First of all, they have, in most cases, a franchisor who really understands, through experience, the essentials of business, making sure clear structures are in place from the beginning to move through Existence and Survival fast. I have to say, not many business I see have all these business aspects in place when they start to think about franchising. And the franchise process will help to put some in place. Things such as systems will be built and it will be essential to have a sound understanding of money management as the franchise structure is developed. If you are still working in the business though, putting in 60 or 80 hours a week, I think you will find the extra work and emotional energy to do the conversion can be more than a little overwhelming. In discussing the five stages of business growth, Lewis and Churchill identified some skills needed and show that these skills are what are built up through the business growth process. In my mind, today, there is at least one other skill to be added. The thing is, I know very few of us, if any, have the individual skill to deal with every business ability to a satisfactory level, so creating a team is an essential component as soon as it is possible. The key is to understand each area and to know who to put into your team to move you and your business forward. So here is some detail. Having a good understanding of your target market, what is wanted of you and what your brand should look and feel like is essential from the earliest days of business. If you do not understand how important this is, you need to think about getting help from the beginning. Fundamental today is knowing that people respond to the power of Why. If you do not know of Simon Sinek’s amazing Ted Talk on this then visit Start With Why and listen to what he has to say. Once your brand is sorted, you need to think about how to get your message out into the very different market place of today. Central to this is your internet presence. Businesses without will generally not have the ability to grow beyond their local area if they even manage to reach that level. The foundation of marketing today is the ability to communicate to your people in today’s vernacular and the bitter truth is that’s the killer for 80% of businesses. Managing business through the various growth stages from inception to maturity needs a good understanding of money. How to manage cash flow, what level of risk is good (some is inevitable), expense management and the need to spend to get growth. The other requirement is the need for capital to fund different growth stages. Existence, Survival and Rapid Growth all need capital in one form or another and not having the cash can seriously hinder the process. Systems are the foundation of a growing business. In the early stages, not so much but moving beyond Survival requires the ability to delegate for which systems are essential. systems, no growth. It’ as simple as that! Delegation needs more than just good systems. The biggest problem faced by many entrepreneurs is letting go. Ego and thinking no one can do it as well as you is a trap. In today’s business environment, delegation needs to be done in accordance with the three Laws of Type I management – motivating people through their own intrinsic wish to do their best. Outlined by Daniel Pink in his book Drive: The Surprising Truth About What Motivates Us, Pink looks at how the best organisations motivate today in a way that gives their people the drive to take the organisation far. First is Autonomy. Select people who love the job they will be responsible for and then give them the autonomy or ability to do it their way with as few essential boundaries as are necessary. Second is Mastery. Select people with an open mind, who do not see their abilities as finite but rather know they will grow with practice and pain and who love a challenge. Put them into a job where they will always be looking to do things better but not one which will overwhelm. They will then go into the flow and give back to the organisation many fold. Third is Purpose. Human beings seek purpose, a cause greater and more enduring than themselves. Simon Sinek and his ‘Start With Why’ YouTube video will help to see this point. If you can combine profit maximisation with purpose maximisation then this will take you far. As Simon Sinek shows, think of Apple as an example. And finally, remember, leadership requires humility. Yes you need the vision. But the ability to give clear directions at the appropriate level, listen to your troupes, change direction when needed, and really understand what team work is all about is key. Again, Simon Sinek puts it so well in his latest book ‘Leaders Eat Last’. Simon’s central tenet comes from the US Marines where leaders always stand at the back of the line when it comes time to be fed. If there is no food left, it is their bad luck and that is when they rely on their troupes to provide from their share. Would your troupes willingly feed you? Finally, this is your job. Especially as the business becomes more sophisticated and grows larger. Making sure you have an eye on the strategic direction of the business and know where it is going. Every leader has a clear picture of this and can give this picture to the team. Yes, at the beginning every business owner is in the business doing every task. But as you grow remember, the more you can put in systems and delegate and have some sort of business direction in place, the faster you will achieve the goals you are looking for. Goals are great. Planning how those goals are going to be achieved is better. Keeping an eye on how the organisation is travelling against those goals is best. The more successful your existing business or even a past business, the more likely you have what it takes to create a successful franchise group. Plan and check out how you are travelling with your team regularly.